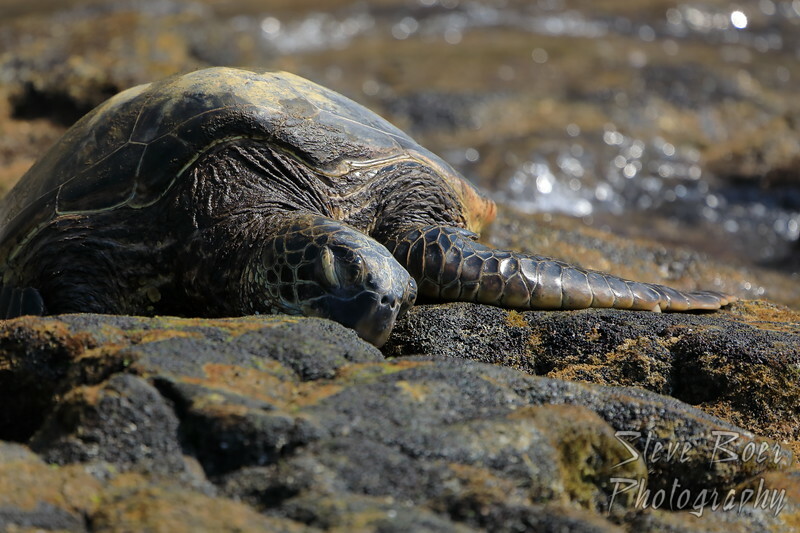 Another sea turtle taking it easy for the day, just trying to blend in with the rocks. 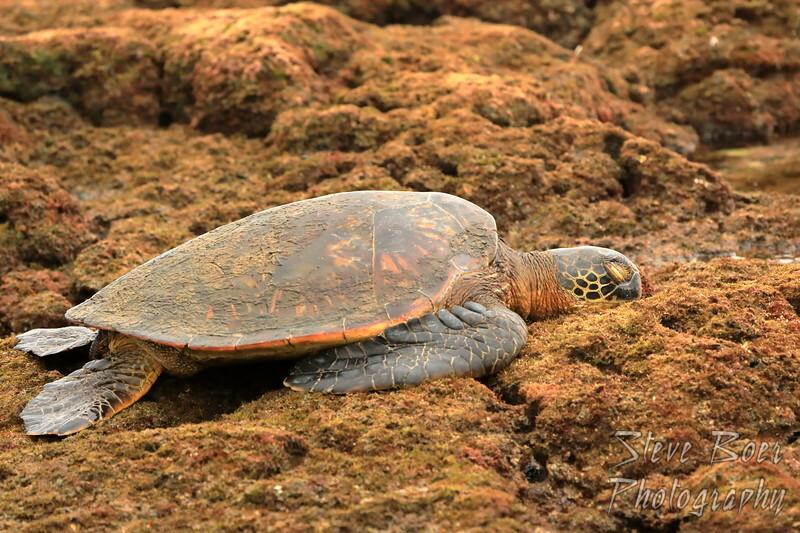 Here is another green sea turtle, halfway out of the water. 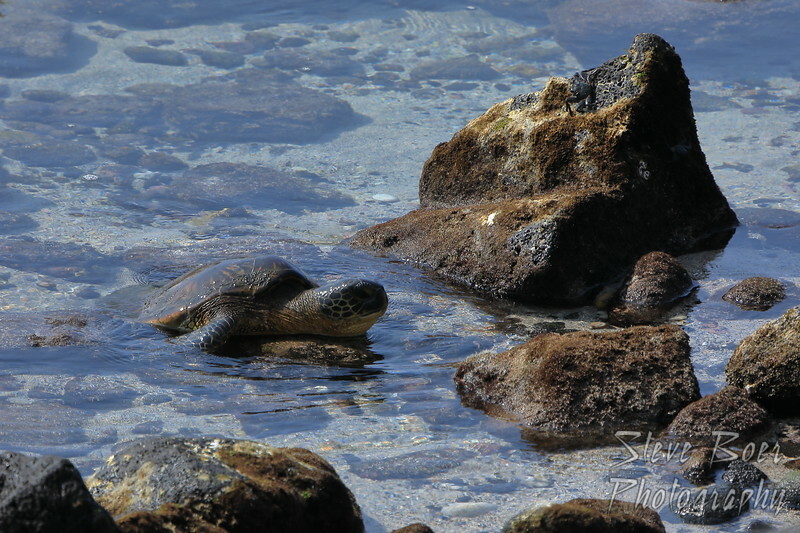 The Hawaiian name for these turtles is Honu, and they are an endangered species. This was the first sea turtle we saw on our vacation. 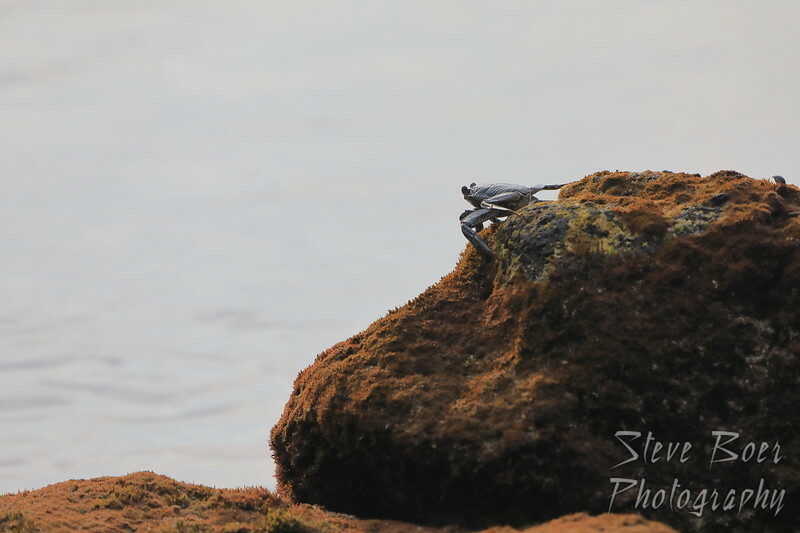 I didn’t even notice him asleep on the rocks until some guy pointed him out to me. They camouflage very well. We never saw one actually end up on the rocks like that, but they remain sleeping in the sun until the tide comes in so that they can leave again without too much effort. And, watching them, it is a LOT of effort it takes for them to move around out of the water. 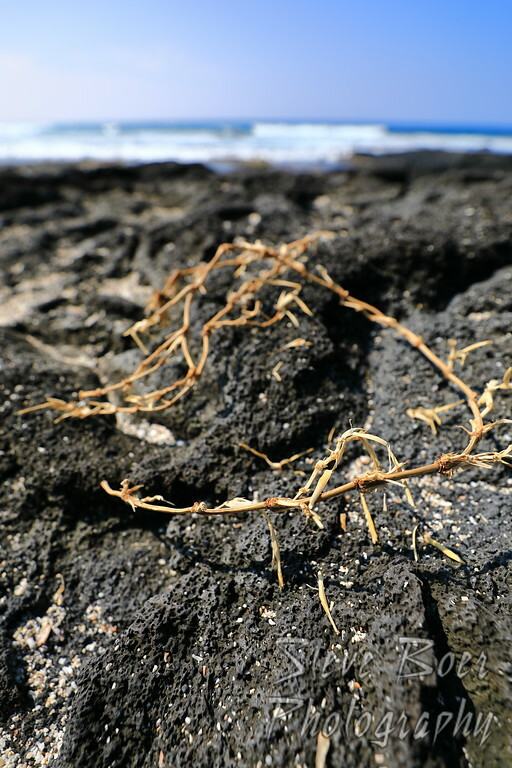 An interesting piece of dried seaweed I came across while exploring the beach where we were staying in Hawaii. It was in a roughly circular shape and had pointy bits at regular intervals so made me think of a crown of thorns. 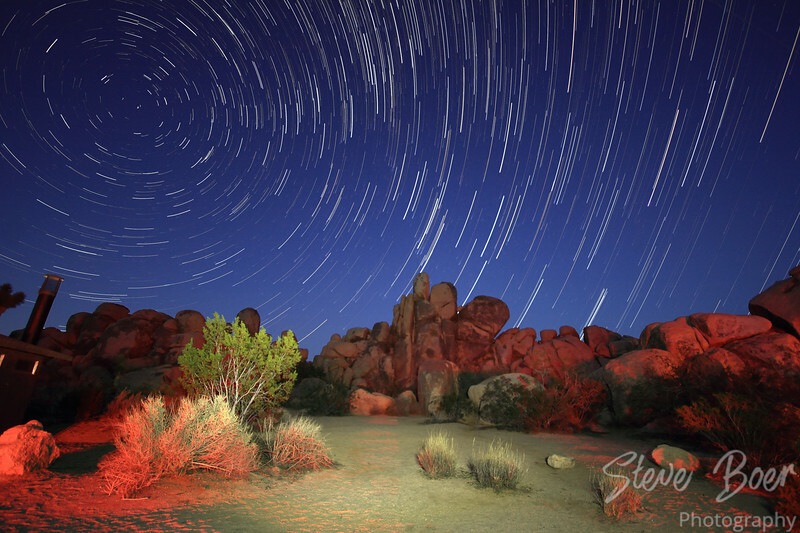 Arch Rock is a cool feature in Joshua Tree National Park. Besides being an arch, it is also kind of shaped like an elephant. 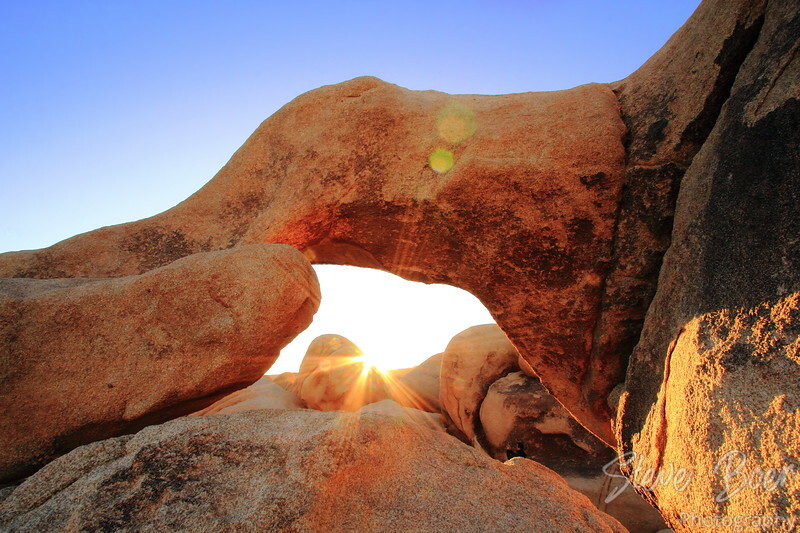 This shot was from ‘behind’ the rock formation so that I could capture the sun setting through it. From the other side it looks even more like an elephant.